Legend was born full-term and through the pregnancy and all the ultrasounds nothing seem to be wrong. When he was born they immediately saw that his breathing was distressed and took him up to the NICU to get an x-ray. That is when everything went haywire. He had left CDH all his intestines were in his chest. His heart was on the wrong side of his body, he had a huge hole in his diaphragm, and his testicles were in his abdomen. My husband and I and our other two children were crushed. They gave legend a 60% chance of survival. He was immediately intubated in the NICU where we were not allowed to hold him or touch him. When he was six days old, our angel Dr. David Bliss operated on him. He pulled his intestines down and put a plastic patch on his diaphragm and by the grace of God, there was another lung. Legend had 2 lungs!!! 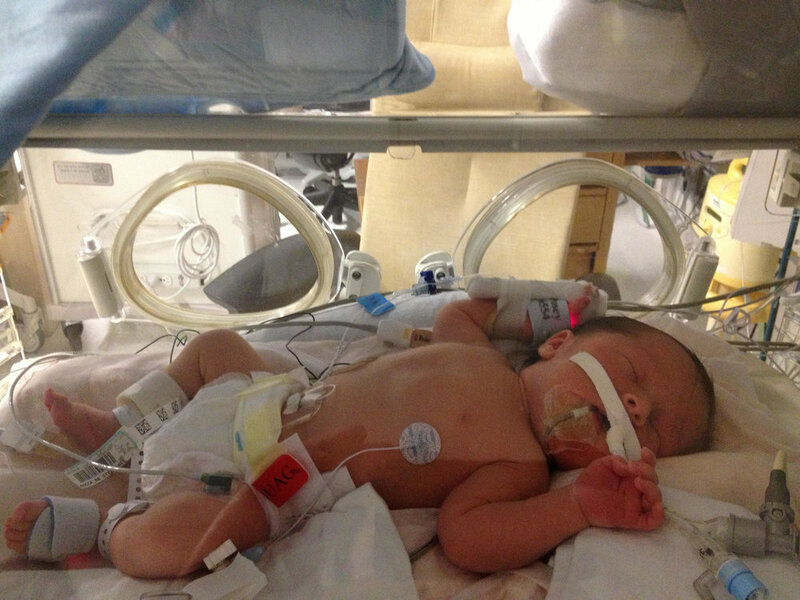 Legend spent a month in the NICU with many ups and downs. Again by the grace of God when he came home he had no support as far as feeding tubes or oxygen. The only thing he had was medicine for his terrible reflux. Other than never wanting to sleep and the fact we had to keep him sheltered from germs by not taking him out in public or letting friends come over, Legend did great. At 10 months old we had a medical emergency where we discovered he had two inguinal hernias in his groin. His intestines actually dropped through them into his scrotum. He had another surgery at 11 months and has been perfect ever since. He is thriving, so smart, so athletic, so kind, and so soulful. Legend started kindergarten this past September and is reading and writing. He has tons of friends, involved in sports, and is just the biggest miracle ever. We are so blessed by our Tiny Hero!